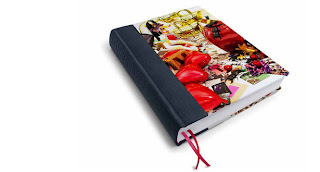 In celebration of Mulberry's 40th Birthday, here's comes the most wanted book for the coffee table this season. After being converted to Mulberry after being given my very first Mulberry clutch bag 5 years ago, I am now a fully fledged fan of the brand, never without my Black Mulberry Tillie, a perfect everyday bag in a colour I know best. Mulberry: The Book is an inside look at the world of Mulberry, with hundreds of pages full of behind the scenes photography from over the last few years; capturing the British greatness crafted from the factory in Somerset to the beautiful iconic bags seen on some of the worlds most famous women. A must have book for any fan of pretty imagery, and a love like me; for Mulberry.